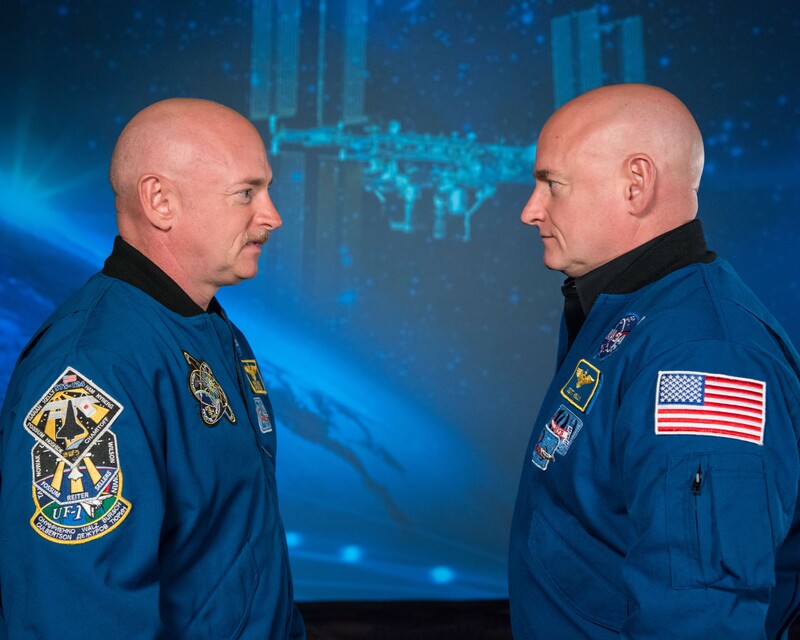 In an image provided by NASA, Astronaut Scott Kelly, right, and his twin brother, Mark Kelly, Jan. 19, 2015. For 340 days, NASA scientists meticulously compared the twins, one in orbit, the other, earthbound. The results hint at what humans will have to endure on long journeys through space. For 340 days, Scott Kelly circled the Earth aboard the International Space Station, gathering data about himself. Two hundred-and-forty miles below, Scott’s twin brother, Mark, who also served as an astronaut, carried out identical tests. Now, a comparison of these two men has provided an opportunity to learn what happens to the human body in space. In an image provided by NASA, Cmdr. 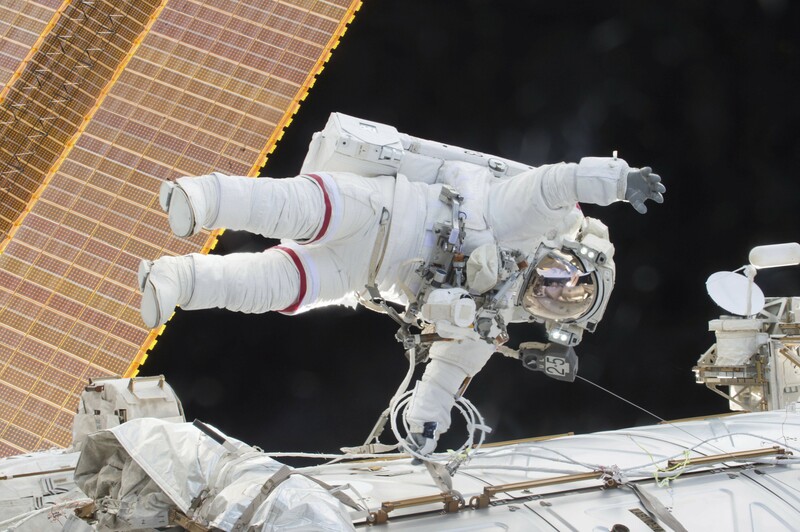 Scott Kelly participates in a spacewalk outside the International Space Station, Dec. 21, 2015. For 340 days, NASA scientists meticulously compared Kelly to his earthbound twin, Mark. The results hint at what humans will have to endure on long journeys through space. On Thursday, just over three years after Scott Kelly, 55, returned to Earth, NASA researchers reported that his body experienced a vast number of changes while in orbit. DNA mutated in some of his cells. His immune system produced a host of new signals. His microbiome gained new species of bacteria. Many of these biological changes seemed harmless, disappearing after he returned to Earth. But others did not correct themselves, provoking concern among scientists. Bailey studied special sections of Kelly’s DNA called telomeres, which sit at the end of chromosomes, protecting them from deterioration. As people age, their telomeres tend to get shorter. Strangely, the average length of Kelly’s telomeres increased in space, rather than decreasing, as if his cells were becoming more youthful. 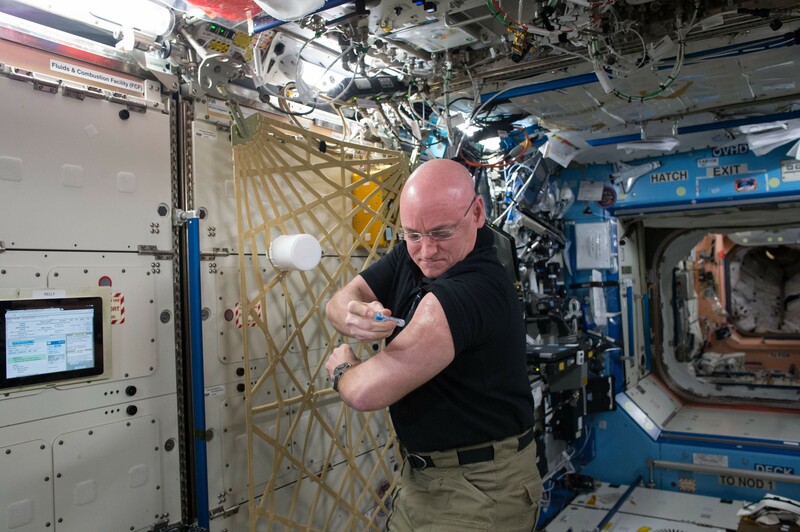 In an image provided by NASA, Astronaut Scott Kelly gives himself a flu shot aboard the International Space Station, Sept. 24, 2015. For 340 days, NASA scientists meticulously compared Kelly to his earthbound twin, Mark. The results hint at what humans will have to endure on long journeys through space. Going to space also appeared to trigger a genetic shift in Kelly. Thousands of genes that were once quiet increased their activity. Some of the awakened genes are known to encode proteins that help fix damaged DNA. That would make sense, given that radiation levels in the International Space Station are higher than on Earth. The strange lengthening of Kelly’s telomeres disappeared after less than 48 hours on Earth. In fact, Bailey and her colleagues started finding many cells with telomeres that were shorter than before Kelly went to space. Six months after he came back to Earth, 8.7 percent of his genes were still behaving in an altered way. The researchers also found that Kelly didn’t do as well on his return on cognitive exams. Another enduring change, scientists found, was a collection of genetic mutations that Kelly gained in space. Sometimes radiation triggers a type of mutation that makes cells prone to gain still more mutations as they divide. Eventually, the cells may start growing uncontrollably — “taking steps on the road to cancer,” Bailey said. 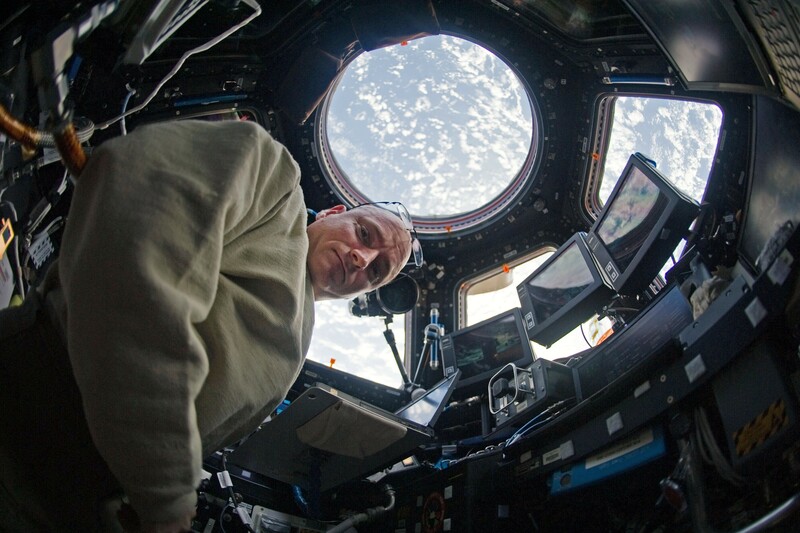 In an image provided by NASA, Astronaut Scott Kelly in the cupola of the International Space Station, Jan. 27, 2011. For 340 days, NASA scientists meticulously compared Kelly to his earthbound twin, Mark. The results hint at what humans will have to endure on long journeys through space. These two lingering changes — in Kelly’s cognition and DNA — left a number of experts concerned about the risks of a trip to Mars, which could take a year.